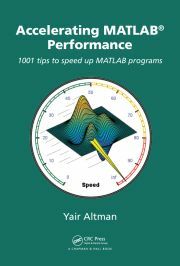 Matlab’s Editor and Workspace can be enhanced quite significantly using an open-source utility. MLintFailureFiles or: Why can’t I save my m-file?! Sometimes Matlab gets into a state where it cannot use a valid m-file. This article explains what can be done. Recovering the previous state of the Matlab editor and its loaded documents is possible using a built-in backup config file. The new Matlab release R2009b includes the ability to customize keyboard bindings for the editor and Command Window. However, there are still some uses for the EditorMacro utility and its variants. The EditorMacro utility was extended to support built-in Matlab Editor and Command-Window actions and key-bindings. This post describes the changes and the implementation details. EditorMacro is a new utility that enables setting keyboard macros in the Matlab editor. this post details its inner workings.